Jennifer Eby is a member of ConvergenceCoaching, LLC, a national consulting firm dedicated to helping leaders achieve success by helping them develop and implement success plans. As Administrative Coordinator, she provides administrative support to the ConvergenceCoaching consulting team and to our clients. 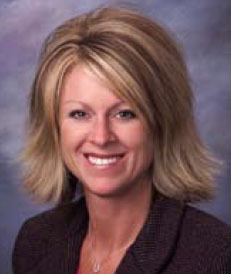 Prior to joining Convergence, Jennifer was employed with the Sarpy County Courthouse as a paralegal for 9 years. While employed at the County, she was responsible for monitoring and acting as chief decision maker in all areas of case management, while obtaining legal advice from the Deputy County Attorney. Her experience included preparing legal documents for court hearing, attending court hearings, and working in conjunction with other state agencies. Jennifer has additional experience working in the insurance industry as a Human Resource Specialist. In that capacity, she administered employee performance appraisals, performed job analysis, prepared job descriptions, maintained accurate personnel and salary records. In addition, she assisted with new hire orientation, preparing information for the process of reference and credit checks and performing employment verifications requests. In addition to supporting our consultants and clients with administrative assistance, Jennifer is active in the Parent Teachers Association at her son’s school and she volunteers time at the Bellevue Junior Sports Association where both of her sons are active. She has served on numerous boards as well.